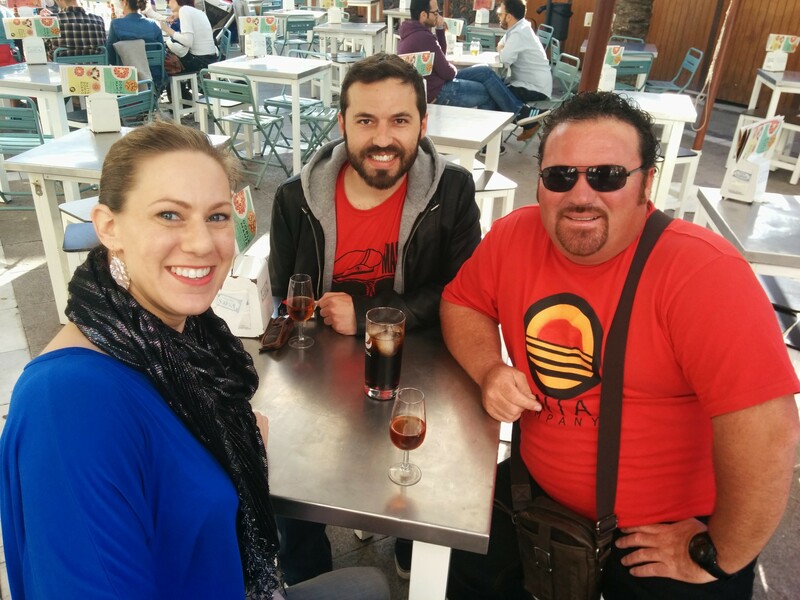 Before my trip to Jerez, I saw a post on Facebook about sunglasses made from sherry barrels. When I learned they were manufactured in Jerez, I had to find them! I’m a native Oregonian, and Pantai Company resonates with my local cultural value for art, fashion and reclaimed wood! The duela is the single slat from a sherry barrel. Because wine barrels are used for 80 years, it is customary to have a specialist fix the barrel rather than use a new one. Since a barrel isn’t filled to capacity, they can tip it on its side, remove the damaged slat and replace it with a fix. Pantai Company purchases these damaged duelas to make their sunglasses. My initial visit was with Jesús, the co-creator of Pantai, and Fran, their sales rep. We met over drinks to discuss Pantai’s backstory and to see prototypes. Pantai means beach, and their logo is the setting sun over the sea. 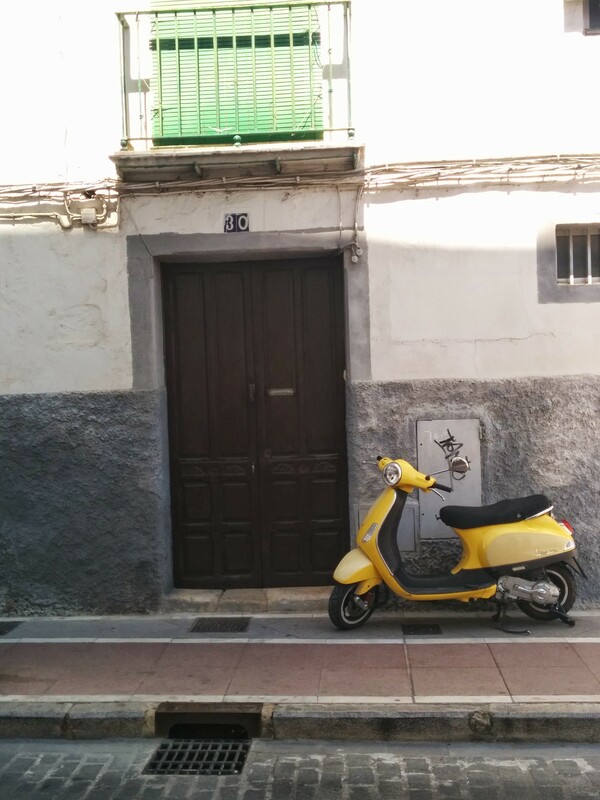 In 2012, Pantai Company started in Jerez with Jesús and his brother David. Originally, they had the goal to make a clothing brand, but decided to take their ideas to new heights! True, wooden frames are nothing new, but these are much more than any ordinary wooden sunglasses. This is a piece of utilitarian art! They hope to embody the essence of Andalucía – the beaches, the wine, the culture – respecting the environment with reclaimed, organic, and ecological materials. Their intent is to keep all the parts and products originating within Andalucía – the frames, hinges, lenses, even the chamois and the cases. They are against using anything less than top quality. Jesús, David and their cousin make up the three Pantai artists personalizing each frame from start to finish. They spent their first year working with optometrists learning about top quality lenses and how to perfect the bridge of the nose and the shape for varying head sizes. They are very selective and detailed oriented, and can finish a custom order within 15 days. They start with a base pattern style, then sand it to meet their client’s needs. Not a single frame is the same. It’s YOUR pair unique to you, stamped with its own ID number and Pantai logo. You can’t get that from sunglasses cranked out by a machine! Each pair comes with a guarantee. Pantai Company values one-on-one personal contact with each client. Should anything happen, they want to be the first to know, make the repairs and get your glasses back to you. Naturally, after learning all this, I had to make a return visit to the workshop. The shop is located in a residential area. From the street, there’s nothing indicating Pantai Company was located inside, because it once was the abandoned house of Jesús’ grandfather. Jesús gave me the grand tour. The main level is split into three areas: the main office, final production where they cut and apply the lenses, and the small stock supply of finished product. It was evident by the noise and layer of sawdust heading up the stairs that I was going into the production zone. At the top of the stairs is their computerized saw that makes the first rough-cut frames. One rough-cut can take twenty minutes! In the next room are the workstations for the artists to assemble and refine the frames before inserting the lenses. This is also where they prepare the duela. The wood doesn’t look like much when they receive it. 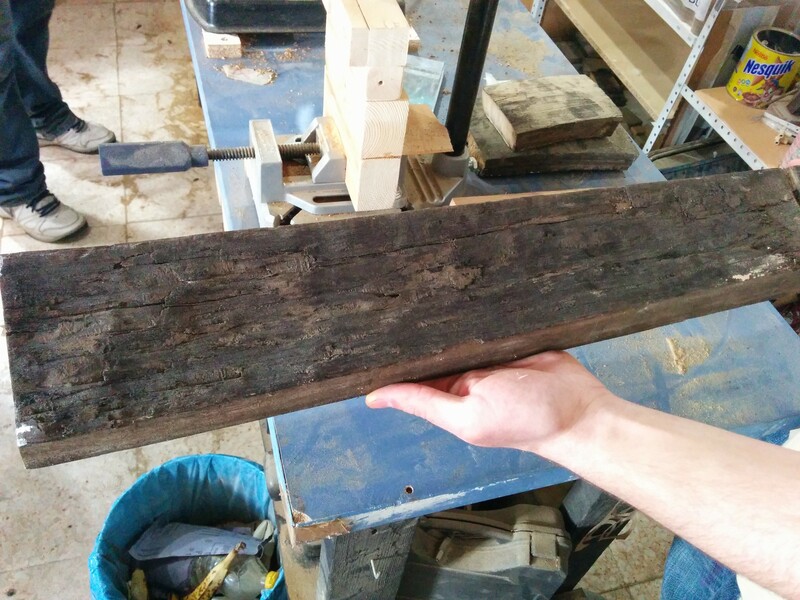 It’s a wood that’s been wet with wine for 30-40 years, and often times covered in a thick layer of sugar. They have to strip off the outer layer and inner layer to get to the main core. Not all duelas are the same size either. Sometimes, it’s a gamble that once cleaned the wood will be of any use. Pantai Company strives to always achieve a single high-quality piece with fresh personality and natural style. The wood will be anywhere from a light blond, if it was a Fino or Manzanilla barrel, to dark coffee, if it came from an Oloroso or Pedro Ximénez barrel. They also make glasses from olive wood that is light in color and has a beautiful striped grain. Pantai Company is always looking forward. Although there are challenges to do business outside of Spain, they’ve expanded their presence into France, and soon will be in Italy. I would love to see them in the U.S. as well! I knew I would not be returning home empty-handed. 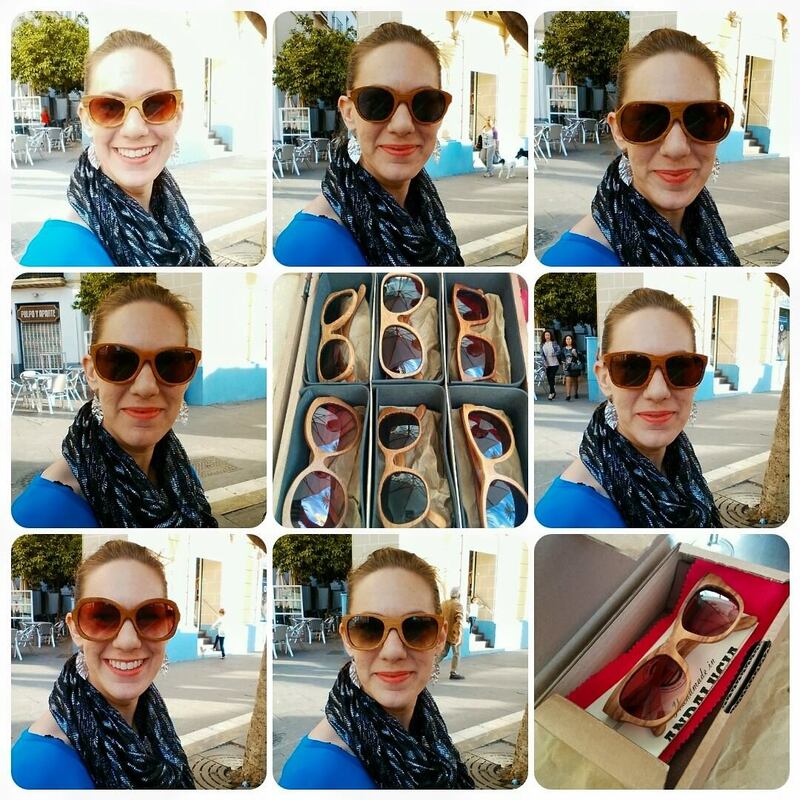 I tried on several frames – but when I saw my pair – it was love at first sight – Pedro Ximénez wood in the Besar style. A piece of art for an unbeatable price with a beautiful story – Es Mi Pantai! I would love to purchase a few. Where can I order or where can I find them in the USA? To be honest Myria, I don’t believe they are sold in the US. You should be able to order from their website.